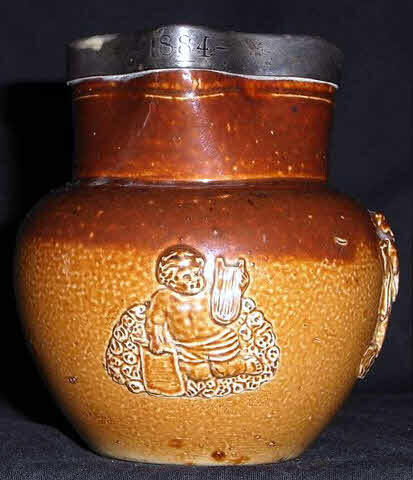 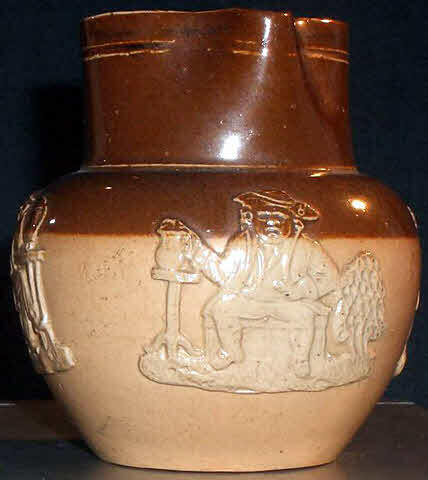 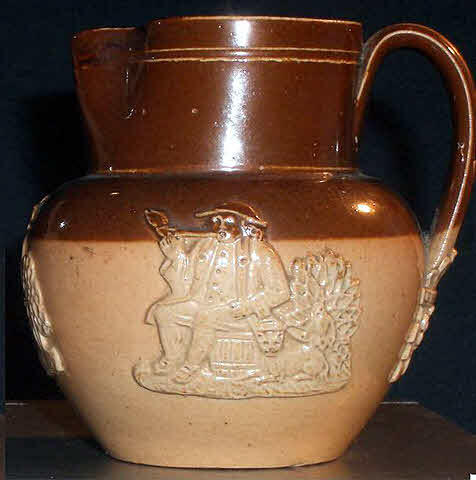 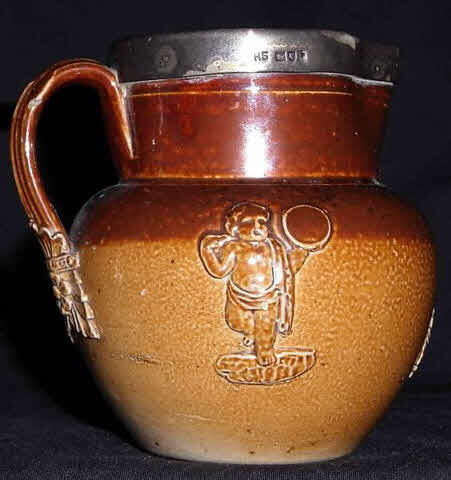 The earliest, and most frequently seen, ¼ pint jugs have the musical cherubs standard on mustard pots. 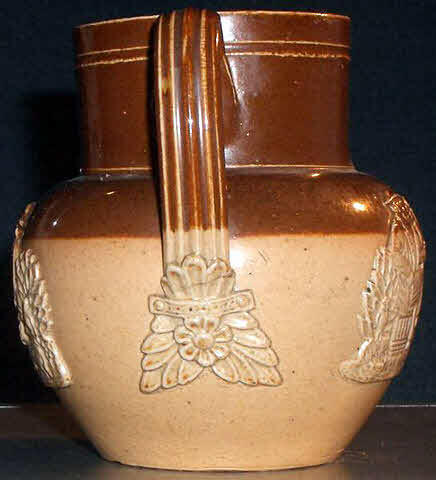 They are known with early and standard handle terminals and the first two Doulton marks. 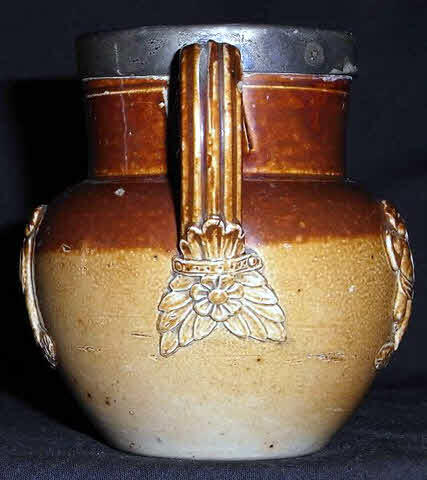 They are frequently included in multi size sets, so must have been the only design then available. 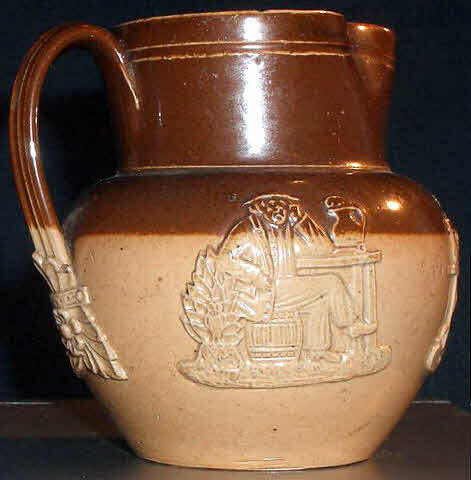 ¼ pint jugs with standard toper sprigs are scarce and not recorded with the two earliest marks. 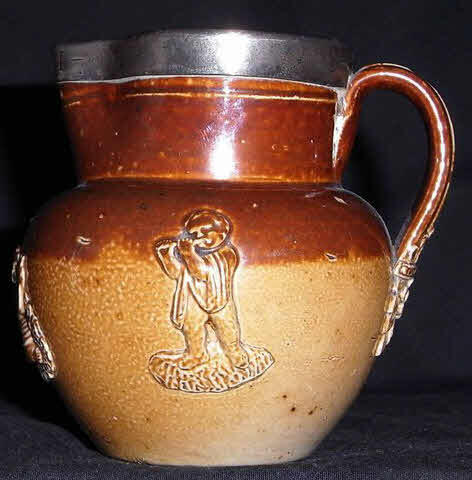 They can be found with large (ex ½ pint) and small (ex 1⁄8 pint) sprigs.